I am quite sure that almost every blogger is familiar with Mashable, A Blog which was founded by Pete Cashmore as Tech blog which focused mostly on social media and later grew into being one of the most followed sites in the world such that it has received a recognition by the the United Nations(UN). 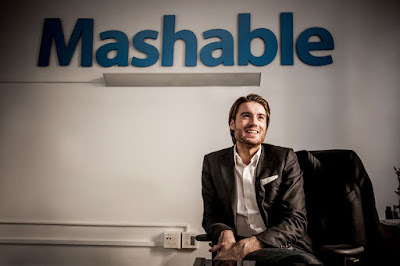 So much Success by Mashable has to be taken into a special consideration because mashabe was started by a Pete Cashmore as a single blogger who had a passion for blogging and writing social media related posts whereby he got to a point where his blog was making more than $3000 per month which gave him a chance to hire another writer and more writers he hired and as of today the site has more than 40 employees which are working together to keep the blog running. 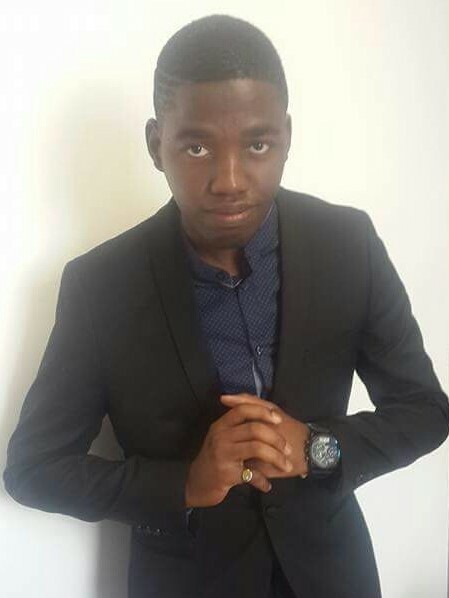 If Mashable grew at a great rate then that shows that any blogger is capable of achieving that level of success only if that blogger would know the secrets behind the Mashable success and also have the confidence that made Pete Cashmore to Start Mashable, Mark Zuckerburg to Start Face and the confidence that Sifiso Nkwanyana had to start Ajaxsurf , bringing a better world of blogging experience. In June 2009 Masable has become the leading technology blog as it overcomed Techcrunch which was the leading techblog at that time and has until today been the leading blog, mashable is indeed a tech giant but the most surprising part of it is that mashable was started without any money and but with a purpose. Starting a blog can be done with or without money, but the most important part of started a blog is nothing more but purpose, As a blogger you must have a purpose for starting the Blog. •Having a definite purpose into starting something will help elevate the success rate of your site or online business, it is not my law or my rule but it is the strategy that is used by many successful people around the world, when mark Zuckerburg started Facebook he was not much interested in making monet from The Facebook but his purpose was to create a social network in which he would communicate with his friends and after a moment his app was getting downloads in the whole of the United States and from the other parts of the world. His purpose attracted him wealth and fame as big companies like Microsoft Corp. Had invested with more than $250M which shows that Facebook today is worth more than $100 Billion. 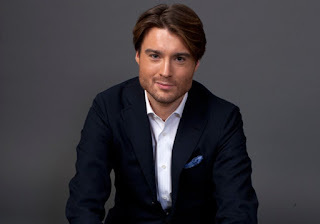 Apart from looking at the big Facebook we have to see the Power behind having a purpose into something and following it, as Pete Cashmore had a purpose to start a blog that speaks much more about social media and Technology , he followed his purpose and got the best out of it. •The second most important part that has to be taken into consideration is that a blog should have a name not a "sub-name" because this is the mistake that most bloggers make when naming their blogs, Having a blog that is using a "sub-name" is not that bad but it is a clear defination of about how far you want to take your blog and at what position do you want your blog to be in the near future. A Sub-name is simply a name that that is reffered to another name, it is any name used under a certain brand name for example we have Adidas as a brand therefore a sub-name would be anything like Adidas wear, Adidas fashion and so on. The use of sub-names is not that bad at all as it can be good for Search Engine Optimization the use of sub-names carry the keyword of another site which which can appreciate or depreciate the value of your site. I have recently moticed many people using title blogger tips, Blogger widgets to name their blog which is an indication of how much they want their sites to rank online, when using a name that is from another site then that will give a negative impression about your blog to the readers as your blog will not seem to be unique due to the sun-name that is being used by the site. When Pete Cashmore named mashable he came up with an idea which led him to naming his site as mashable instead of using the common sub-names used by blogger newbies and other bloggers but instead he came up with something real and unique. Giving a site a unique Name not a "sub-name" will really boost your site and also improve it appearance on the social networks and also on the search engines. You should Come up with something new and amazing to the world by bringing a brand with a professional name which will soon become a keyword as I have seen some bloggers try to name their blogs after Mashable, they have named their sites with names such as Mashabletips, Mashablegeeks, mashableblog etc. thinking that using the word "Mashable" will boost the rank of their blog in the search engines. This spread of sub-names is all over on blogger and wordpress, people should look up to sites like Mashable when it comes to naming. The type of domain used by a site was once a ranking factor on Google but not anymore as Google has been changing it policies to rank sites according to their work not because of the name they are using. •Mashable is most known for its amazing use of social media in the past years and they were the first sites to master search engine optimization before most sites had an idea about it, this should give us a hint about the success of Mashable by using social media because today in the 21st century you have to know the important of social marketing as social media has the ability to bring fresh new visitors to your blog. The impact of social media in the internet is so huge as of today and social marketing is the core to the online money making skill. •Mashable is one of the most Addictive sites on the internet to both new readers and old readers it is very addictive, this is questioning about how do they got to be so addictive. There are many sites that have been functioning the same as Mashable but we got to ask about the factors that had put mashable right on the top of the corperate ladder. Mashable has been known also for its spreading of links on the internet which has improved it ranking because we as bloggers a blog does not only need backlinks to rank but it will also have to create internal links and also link to other giant sites on the internet, by doing so your site is creating what is called structured data which is the same principle that is used by google. The use of linking benefits a site rank on the search engines , Mashable has taken an advantage of this factor by distributing links all over the internet by getting to feature links from other articles across the globe. This shows that linking to other sites is very important. The most important part that one should learn from Mashable is that apart from just linking to various sites on the internet they have made good relationships with a lot of sites and webmasters resulting to mashable receiving a huge number of backlinks and also some partnerships which helped increase the site revenue and it traffic. Congrats to the Mashable. Maintain the success to your future projects. Thank you for sharing your happiness. Interesting! So this is the reason why Mashable takes the crown. congrats to the mashable. I always interested in knowing about the digital marketing services, seo services in india services as a employee.